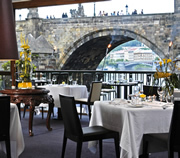 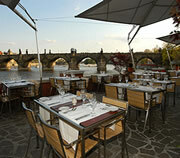 Mlynec Restaurant is in a stunning location by the river in the very centre of Prague, next to and overlooking Charles Bridge. 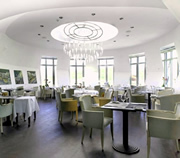 It offers a wonderfully balanced international menu, using fresh local and seasonal ingredients wherever possible. 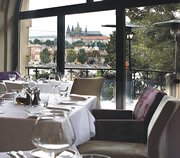 Don't miss the views from the terrace. 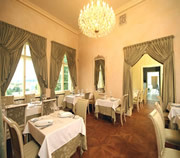 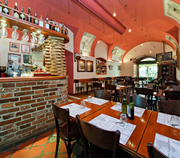 COMO is a large stylish restaurant with a lively vibe. 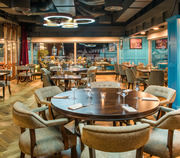 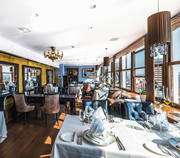 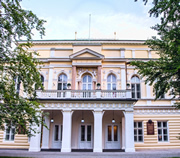 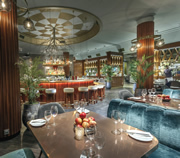 It serves Mediterranean, Sushi and Czech cuisine and is ideal for both romantic couples and group dining; from corporate entertaining to stag parties and hen nights. 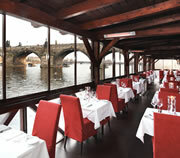 TIP: Book through Prague Experience and receive a free welcome drink. 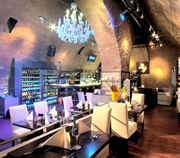 For the finest Indian food in Prague, look no further. 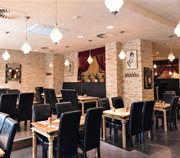 Indian Jewel offers an authentic flavour of India in the heart of the Old Town. 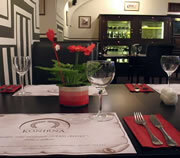 The welcome from the staff is warm, and the food is fresh and well prepared and presented. 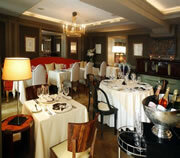 Suitable for business dinners, stag and hen parties, family gatherings or for a meal for two.